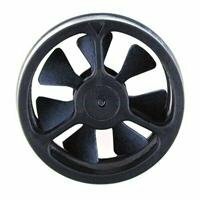 Replacement impeller for the Extech 45158 Mini Thermo-Anemometer with RH. The spare vane simply snaps into place, no tools necessary. Two per package.